It's not really about your back... It's about your health! 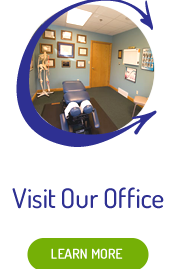 Please stop in for your adjustment beforehand or schedule for when we return. Thank you! At Back on Track Chiropractic, our knowledgeable team will strive to get you the results you want! 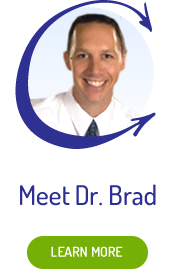 Traverse City chiropractor, Dr. Bradley Schiller believes in getting to the cause of your problems and arming you with the knowledge and tools necessary to live a healthier lifestyle. You’ll understand why your problems have occurred and have the information you need to make sure your amazing results are maintained in the future! 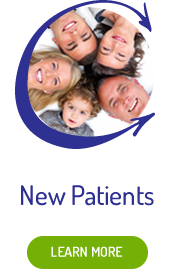 Our warm, welcoming environment offers you a conservative approach to health care. You might have tried other health care options without seeing results. Chiropractic has no negative side effects and can make an extraordinary difference in your life. Our individualized, chiropractic care provides a natural solution to many common health problems such as chronic pain, headaches and disc disorders. We’re ready to give you the changes you’re hoping to see! Taking a pill will only cover up your symptoms of pain. You might feel better temporarily, but your cycle of pain will continue until we break your old patterns. Dr. Schiller’s unique perspective combines his extensive chiropractic education with his long experience in massage therapy to give you a complete healing experience. Our high success rate is also due to helping you understand what you can do in between visits to change your routines and achieve new levels of health! We love seeing the smiles on our patients’ faces when they get out of pain and see their health goals achieved. Let us help you through that process by contacting our office to schedule a time today! 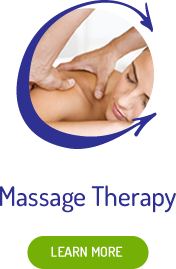 From just two adjustments and a blissful ten minute complementary massage, my upper back and neck pain are 95% GONE! Thank you so much! I feel well taken care of by everyone there. I have always felt comfortable going to the Back On Track Chiropractic office. Everyone is so nice and makes you feel welcome. Brad does a very good job in helping keep my body in tune. Thank you all for all you do. Very positive experience and I can already feel a difference has been made. Nice staff and office. Doctor put me at ease. Really appreciated Dr. Schiller’s ability to adjust his explanations and recommendations to various audiences. Never more technical, or simple, than necessary. Best experience so far with a chiropractor! Dr. Kisling’s recommendation, good choice!! I really liked Dr. Schiller and his staff. They were great with my daughter. I was impressed with the welcome I received on my first visit. Great visit and look forward to getting treated. I am very impressed with the level of personal care that I received. Customer service A+. So happy to be at Back on Track! Thank you! Fantastic! Saw me on short notice and helped me feel better! Thanks!